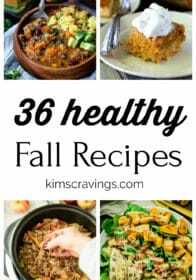 You guys are loving my Healthy Fall Recipes roundup so much from last year, I decided to share even more healthy recipe ideas for cooking and baking this season. Delicious, cozy recipes to make in October and November coming your way! 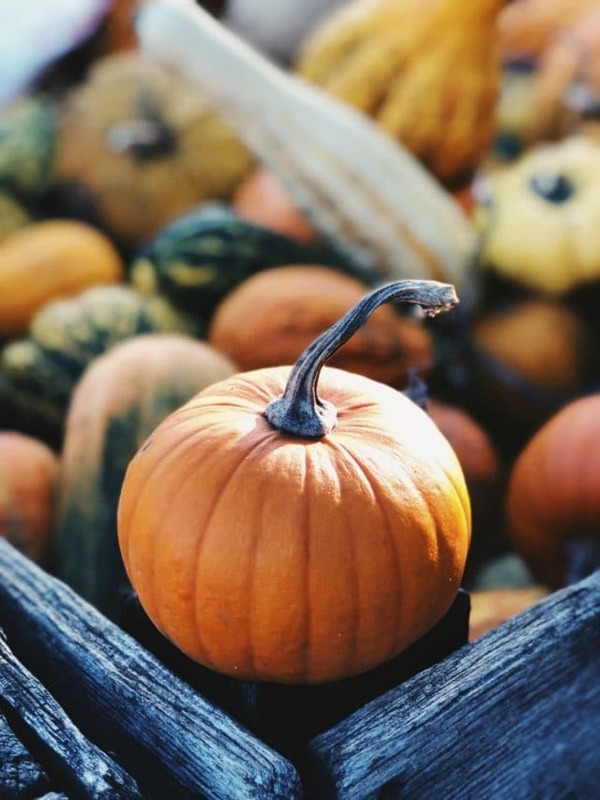 Stock up on extra pumpkin, winter squash, apples, Brussels sprouts and more to make these healthy fall recipes. Happy Sunday loves! Fall is here and I couldn’t be more excited. Fuzzy socks, pumpkin oatmeal muffins, endless soups, and chunky sweaters. Oh yeah, so ready for it. Today I’ve got 36 delicious, seasonal fall recipes for you to make all through October, November and beyond. Apples and Brussels sprouts are still going strong over here and it’s finally time to stock up on every type of winter squash. You’ll find the perfect mix of sweet & savory, hearty salads and nourishing soups, plus plenty of sweet treats that will make you wanna turn on Hocus Pocus and hang in your PJ’s. Take a scroll and get ready for a delicious month. Tons of these recipes are perfect for game day and holiday parties, so make a double batch and share with everyone you love. Be sure to leave a comment and let me know which ones you try! As always, I’d love to see your creations so snap a photo to share with the hashtag #kimscravings on Instagram. Fall is short and this list is long – let’s get cooking! 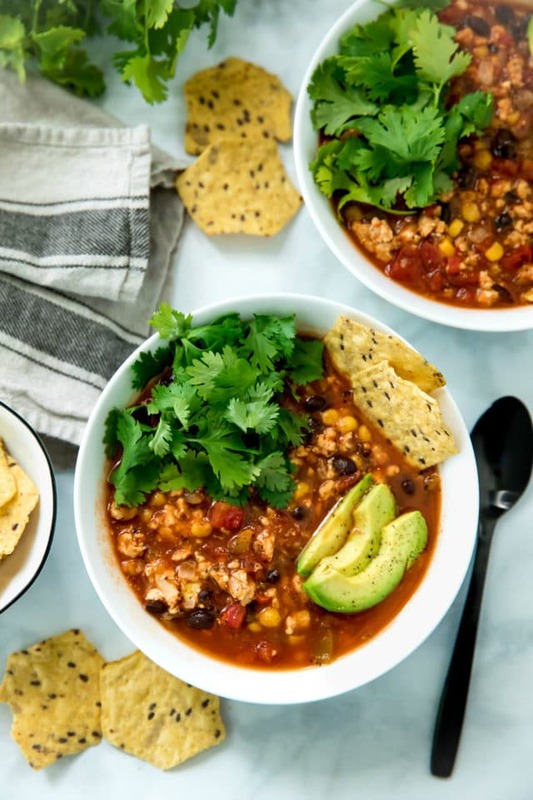 The most popular fall recipe on KC is always the Best Ever Vegan Quinoa Chili. Filled with healthy, fall-inspired ingredients, it’s pure comfort food – the perfect thing to cozy up with on a cool, fall night. 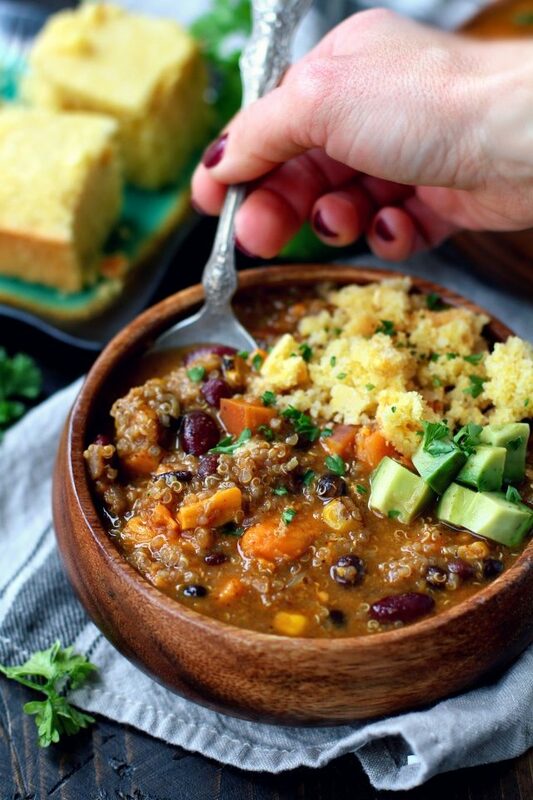 I could eat bowl after bowl of this thick and hearty chili. 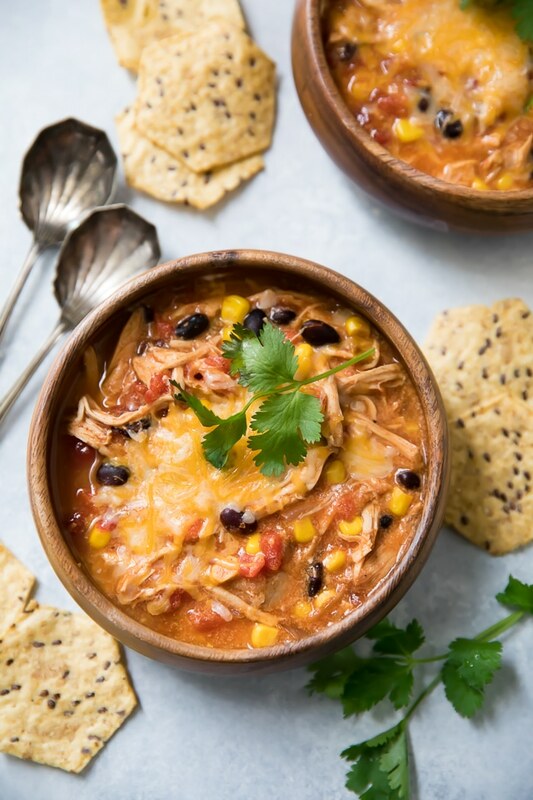 Clean Eating Creamy Chicken Enchilada Soup is one of my favorite fall soup recipes. It’s creamy, it’s delicious, and it’s filled with all of my favorite Tex-Mex ingredients. This easy soup recipe is perfect for any night of the week, and it’s so easy to save and reheat later. 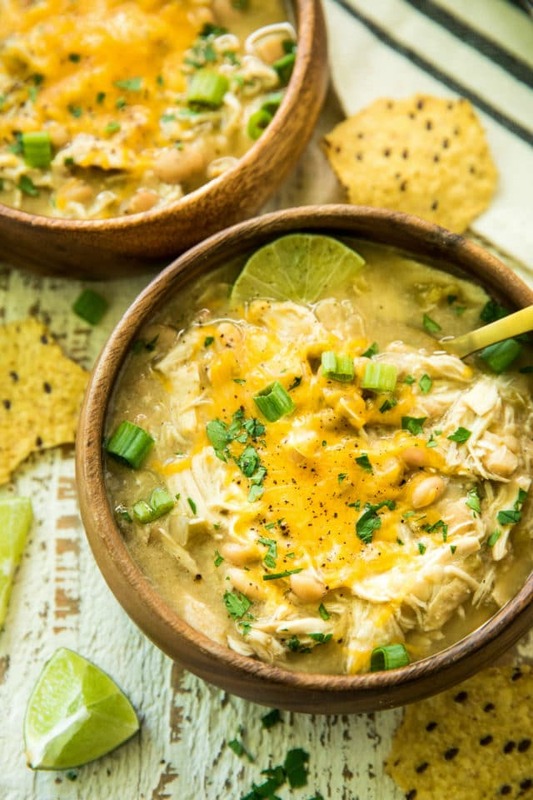 This White Chicken Chili recipe is the only white chicken chili you’ll ever need. It’s SO easy (just how I like my recipes) and made in minutes. You can have the ultimate comfort food on your table (and in your freezer for later feasting) in about 30 minutes! You won’t be disappointed, trust me! 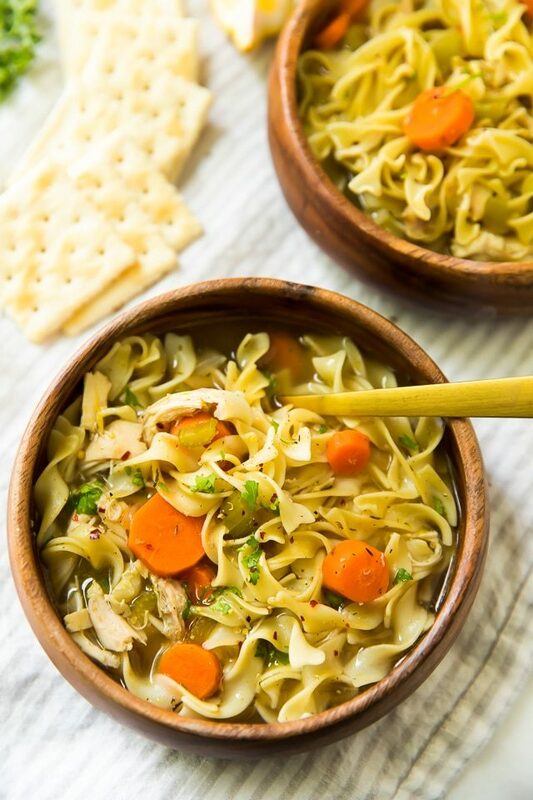 Loaded with good-for-you ingredients and full of flavor and comfort- this Easy Chicken Noodle Soup is perfect for chilly weather but not too heavy for warmer days. 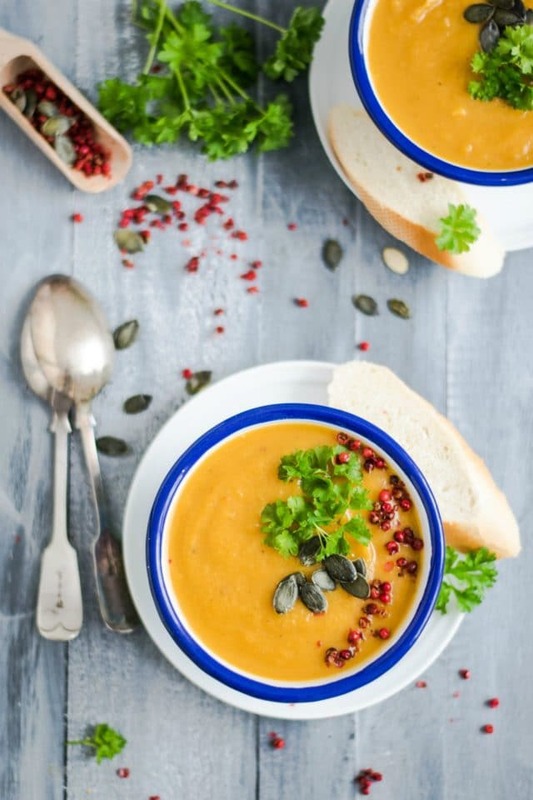 One of the most viewed recipes on the blog, this spin-off of Panera Bread’s Autumn Squash Soup is sure to be a Fall favorite! If you like Panera Bread’s vegetarian version, you’re going to love my simple vegan version. Autumn Shredded Brussels Sprouts Apple Salad is a crispy, crunchy, healthy salad loaded with fresh fall flavors. 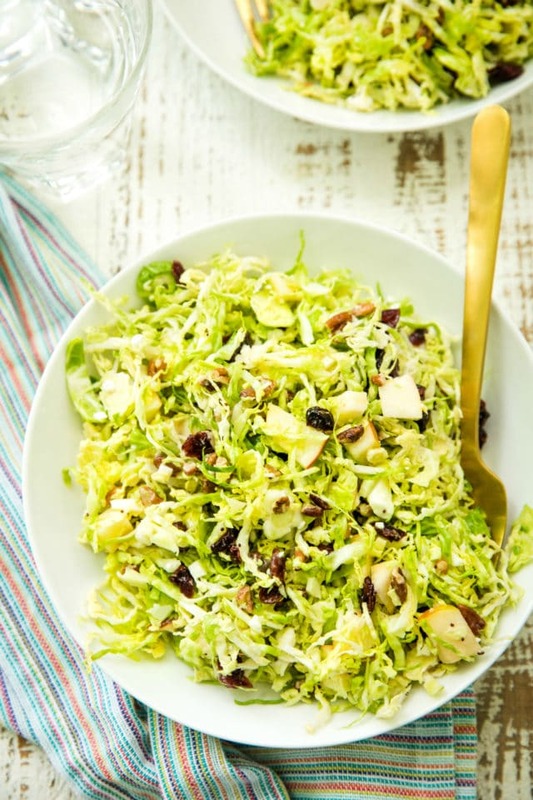 Finely shredded raw brussels sprouts, crisp juicy apples, sweet chewy dried cranberries, pecans and feta cheese all tossed together and then dressed in an easy delicious poppyseed dressing for the perfect flavor combination. 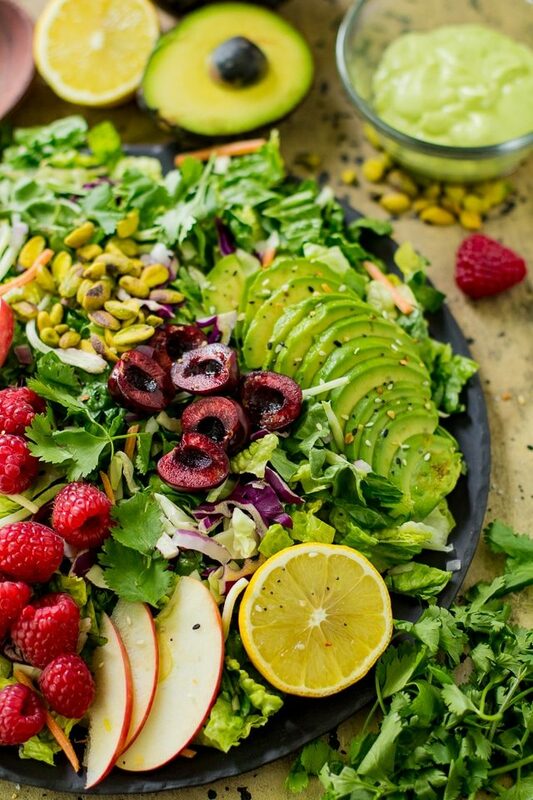 Easy and healthy berry avocado salad is a cinch to whip up in just 10 minutes with incredible flavors and textures. 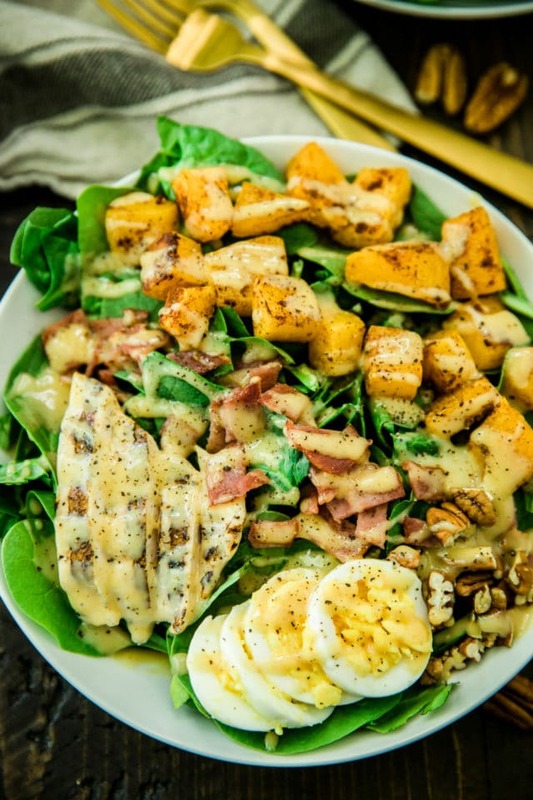 The creamy avocado dressing takes it to the next level in this yummy salad! 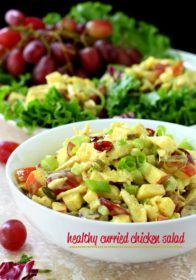 Creamy Dijon Mustard Cauliflower Salad is a pan-fried cauliflower superfood dish tossed in a vegan, gluten-free creamy Dijon mustard sauce. Quick to make, packed with fiber, flavor and nourishment! 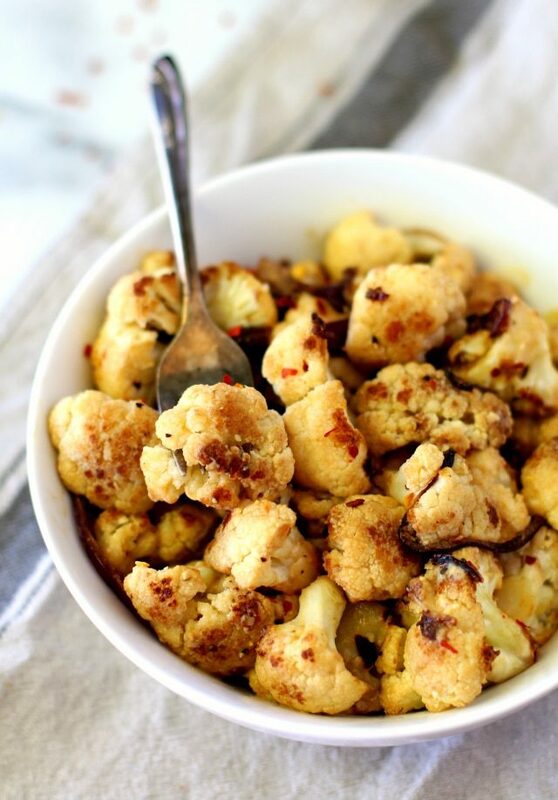 A healthy vegan & gluten-free side dish to add to your table. This Healthy Broccoli Apple Salad is the perfect easy side dish for bringing along to potlucks or serving at any fall get togethers. Best of all, it’s so easy to make with broccoli, apples, almonds, dried cranberries and a homemade tasty dressing. 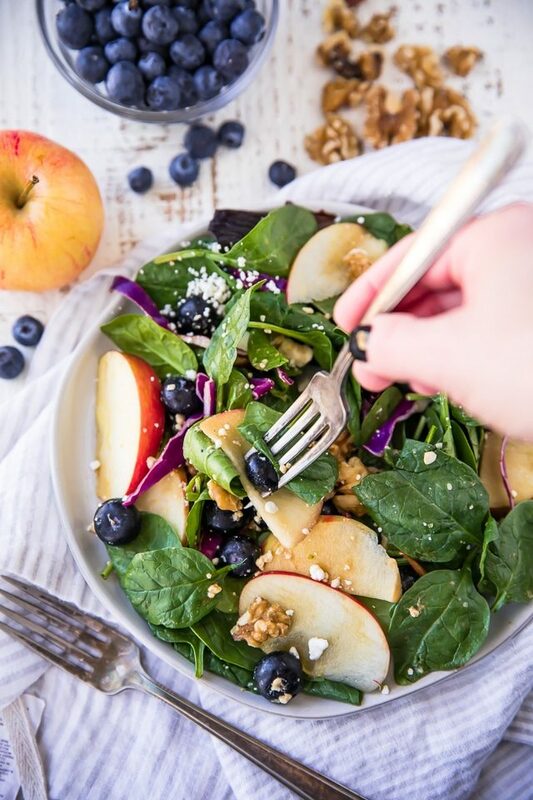 This Heart Healthy Blueberry Spinach Salad is a light and refreshing salad completely loaded with good stuff: sweet apple slices, blueberries, feta cheese, walnuts, fibrous heart healthy spinach and tossed in a flavorful balsamic vinegar. 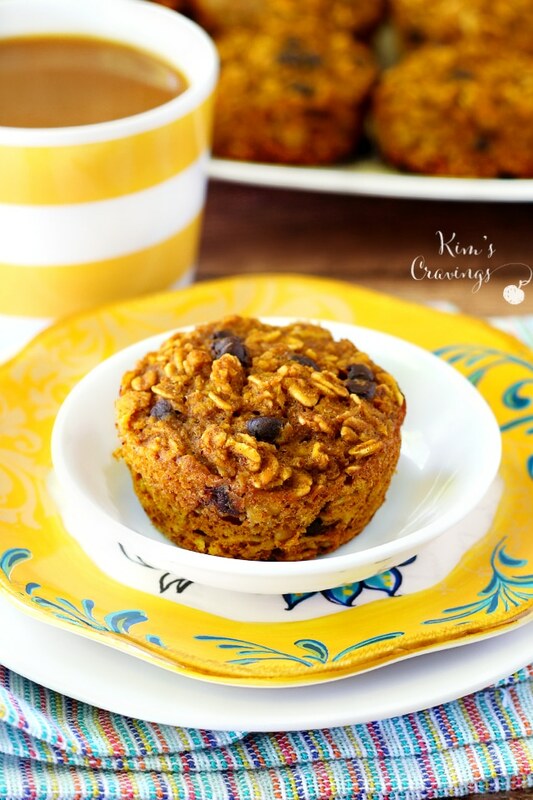 These Pumpkin Oatmeal Muffins are the perfect grab-n-go breakfast or snack with our favorite fall flavors! Sweetened with maple syrup, these oatmeal muffins are super healthy and contain no oil, butter or refined sugar. They’re also loaded with fiber so you’ll stay satisfied through the morning. 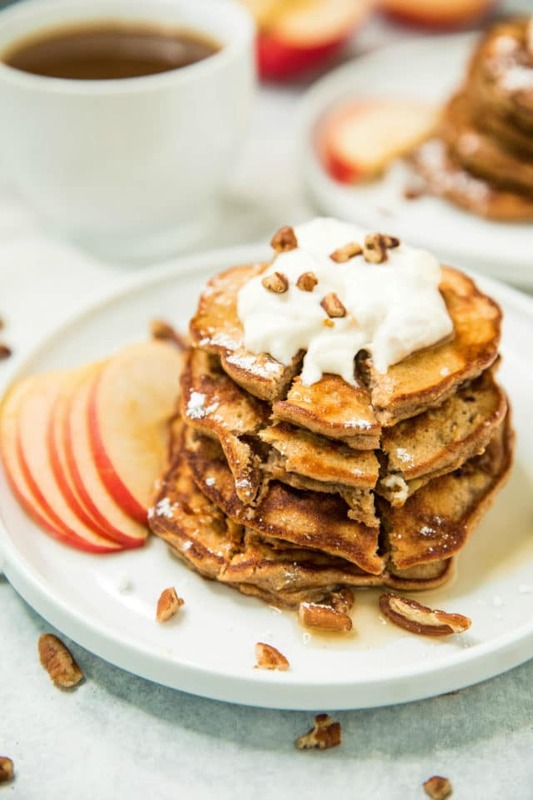 Change up your typical breakfast routine with these Apple Cinnamon Protein Pancakes! Light, fluffy protein pancakes, filled with grated apple, plenty of protein and the perfect hint of cinnamon. 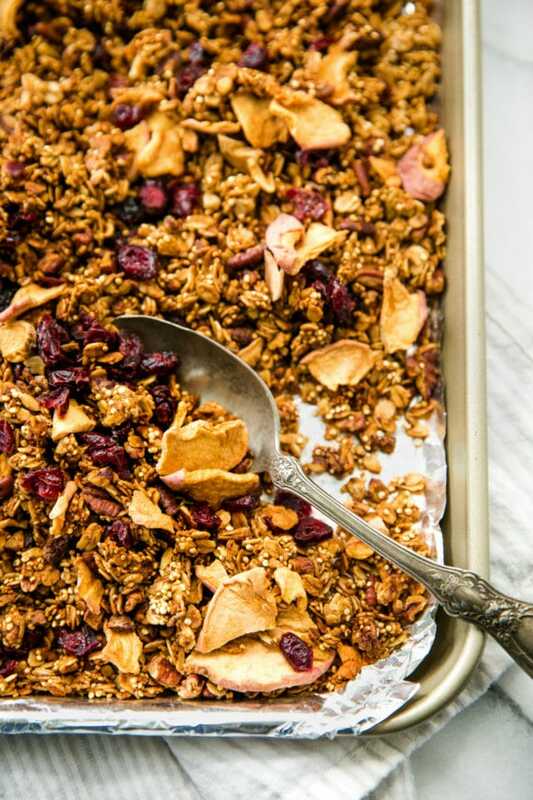 Kick off the fall season with a batch of this healthy Apple Pecan Quinoa Granola! 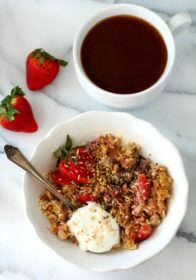 It’s perfect for a quick and easy breakfast! 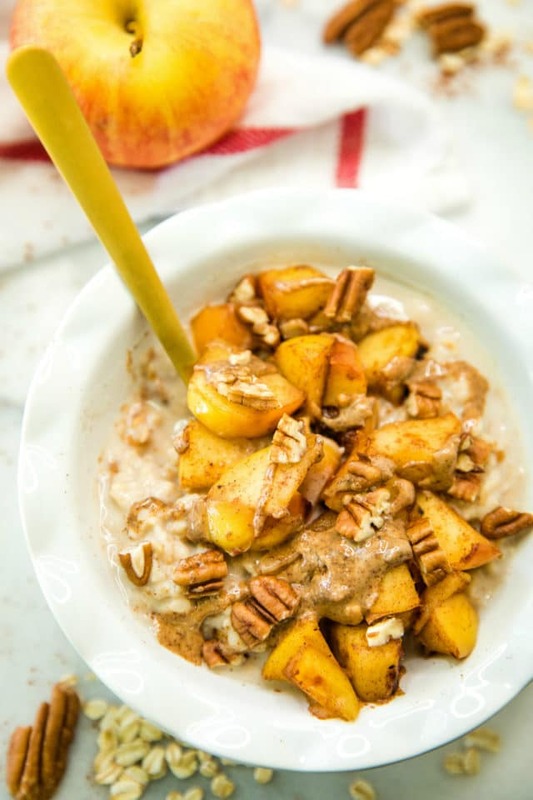 Warm Apple Cinnamon Protein Oatmeal has the hearty flavors of fall we love so much! You guys are in for a treat with this bowl of creamy protein-packed oats, topped with caramelized bites of tender apples and crunchy pecans to make for the most perfect nutritious cozy breakfast. 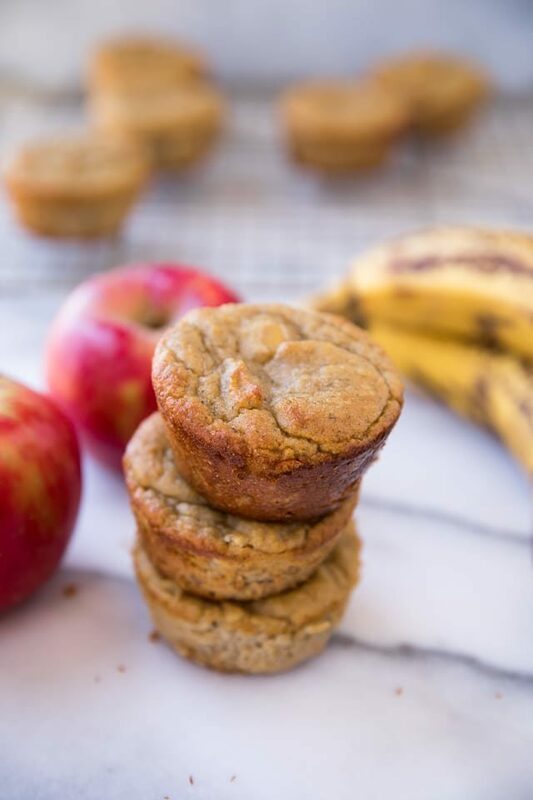 Flourless Banana Apple Muffins made in the blender with only a handful of simple ingredients! 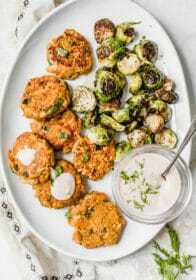 They’re gluten-free, dairy-free, refined sugar free and 21 Day Fix and 80 Day Obsession meal plan approved; so they make a deliciously healthy treat for when those cravings hit. 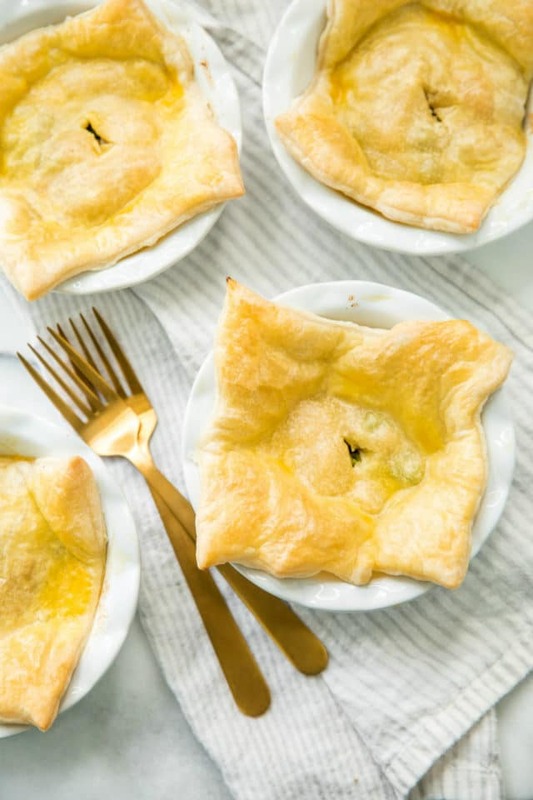 Rotisserie Chicken Pot Pie is classic comfort food, but made way easier with the help of rotisserie chicken and puff pastry. 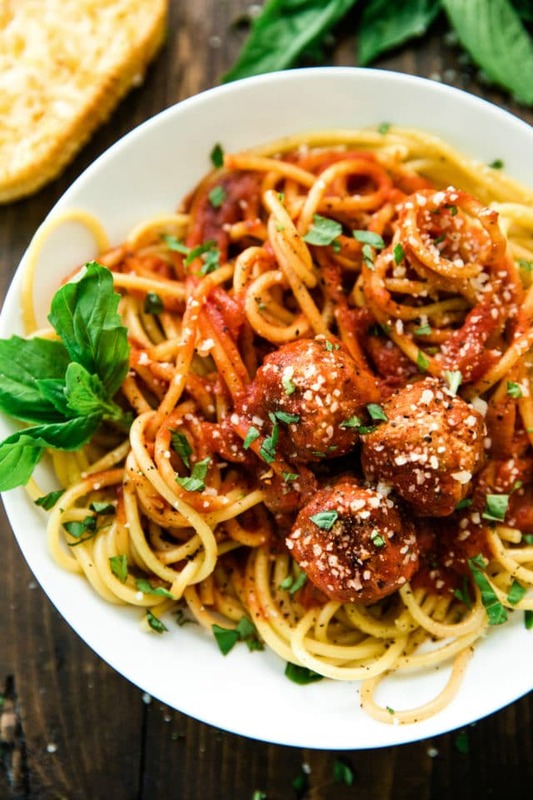 The perfect family-friendly weeknight meal!. 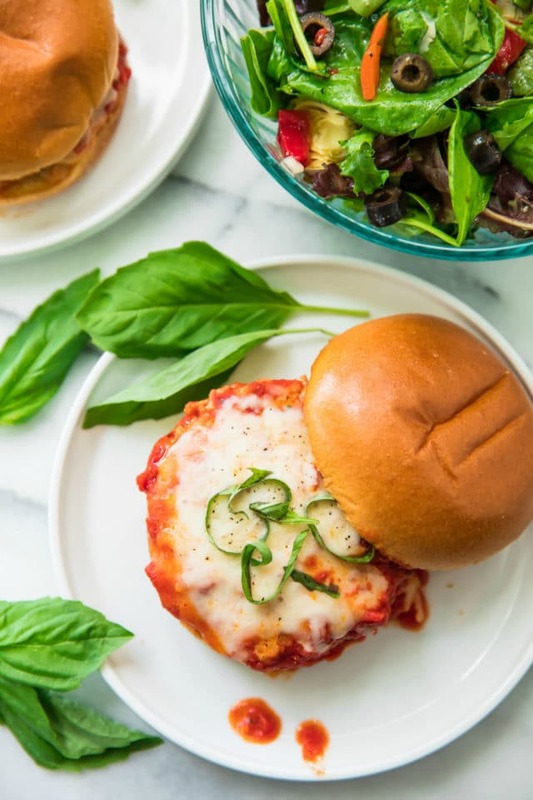 A cross between a delicious burger and yummy chicken parmesan, these Healthy Chicken Parmesan Burgers are going to knock your socks off! 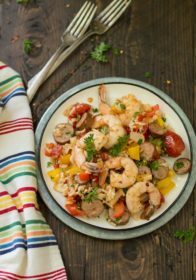 There is so much flavor and goodness in this quick and easy family meal! 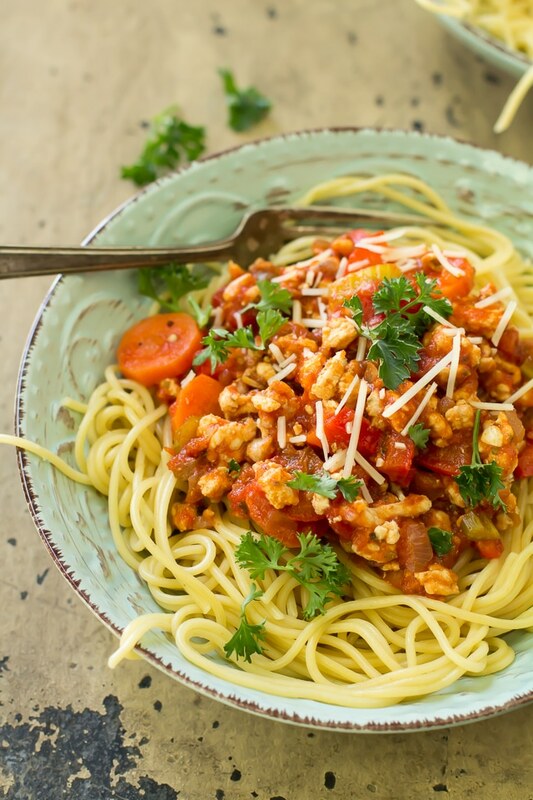 A lighter version of the Italian classic, this veggie packed turkey bolognese has all of the rich, meaty flavors you crave served over a bed of yummy pasta. 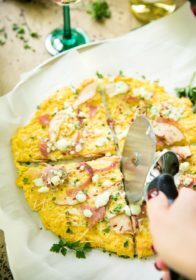 Looking for an EASY dinner that is extremely delicious too? 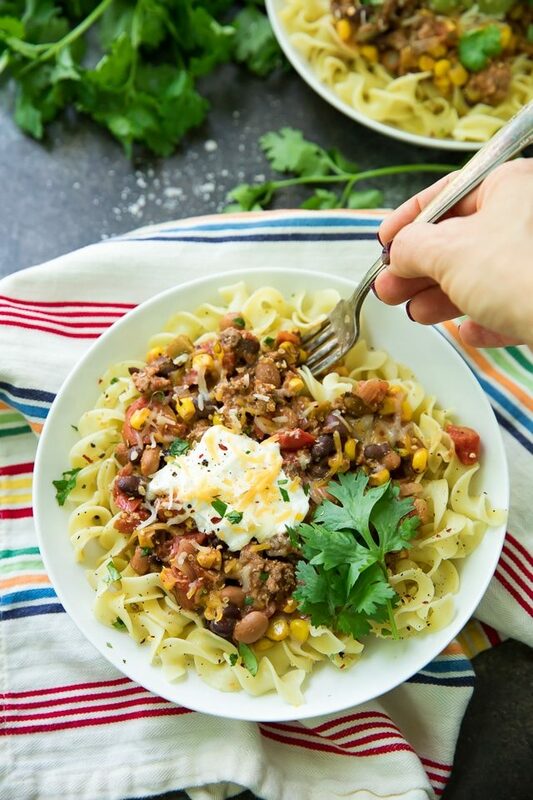 This Bison Taco Chili Over Noodles is your recipe! It’s like your favorite taco turned into a cozy chili recipe! 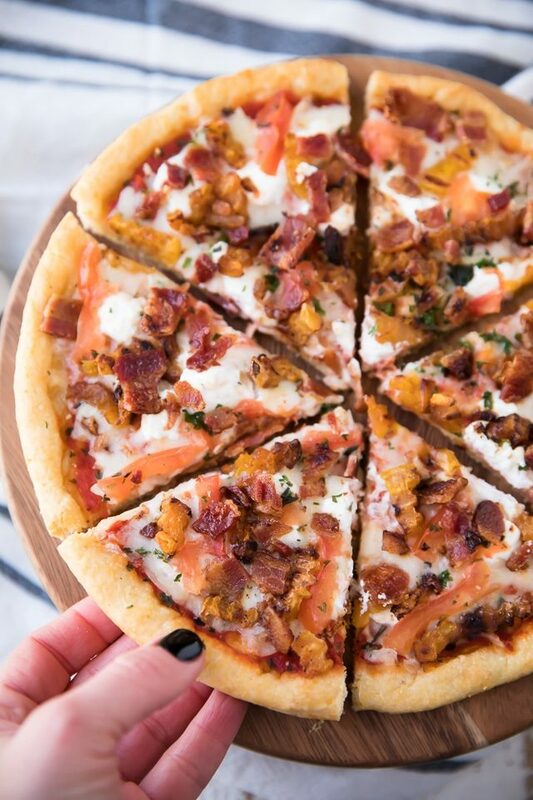 This Butternut Squash, Bacon, Goat Cheese Pizza comes complete with sweet butternut squash, bacon, three yummy cheeses (including my favorite – goat cheese) and the most phenomenal crispy cornmeal crust. 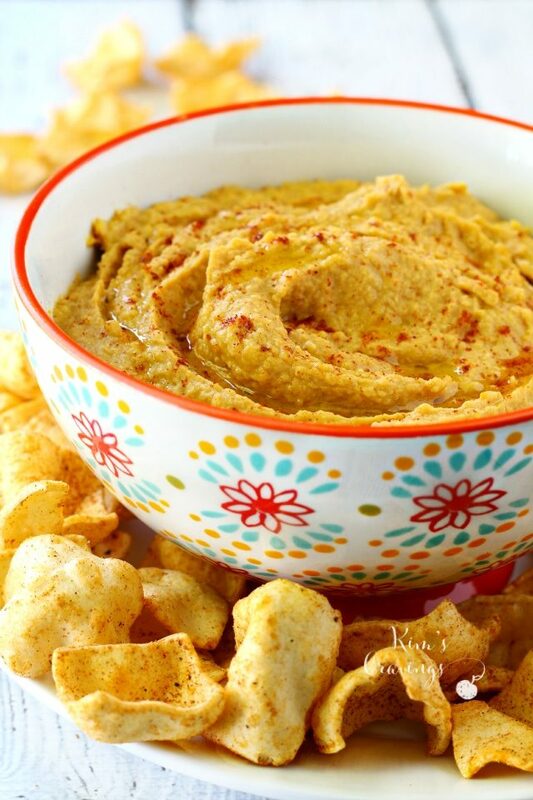 Warm Butternut Squash Feta Dip is one of those dips that’s gone in a flash. Guaranteed! Creamy, cheesy and warm this fall-inspired app is a keeper for sure! 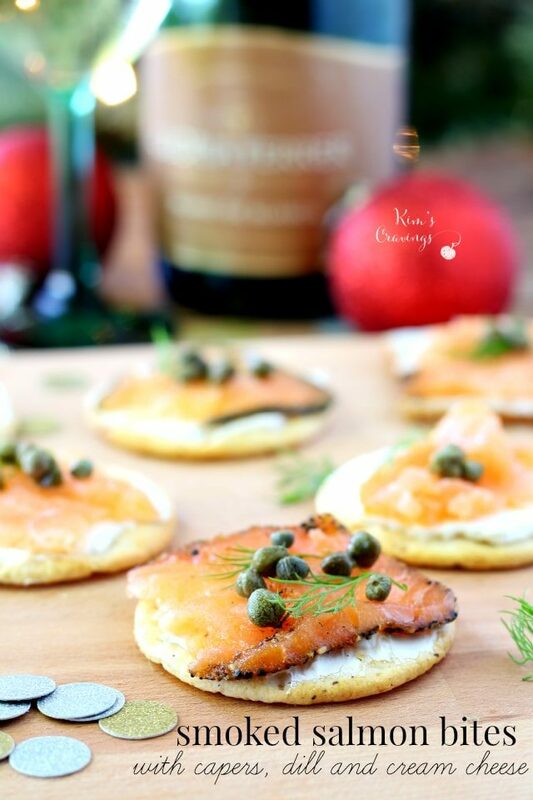 ‘Tis the season for entertaining, parties and gatherings! 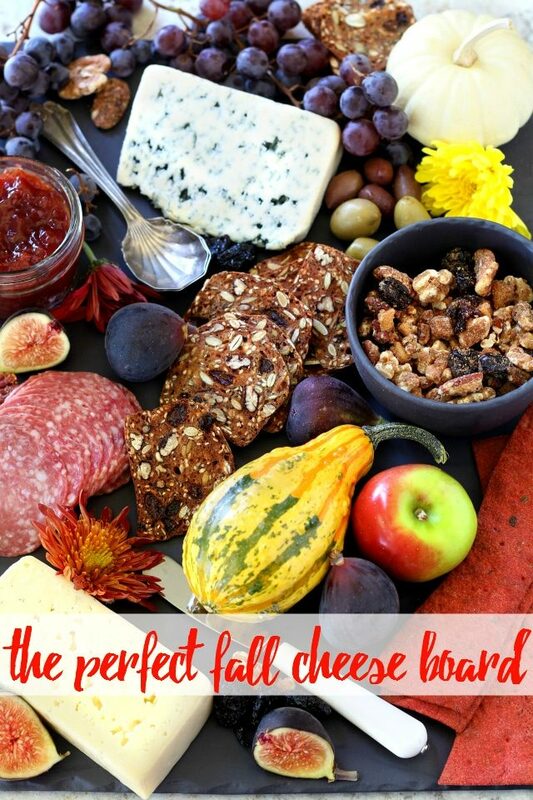 Whether you’re looking to keep guests satisfied and entertained before dinner or you’re just in need of a unique snack option, a seasonal cheese board is the way to go. 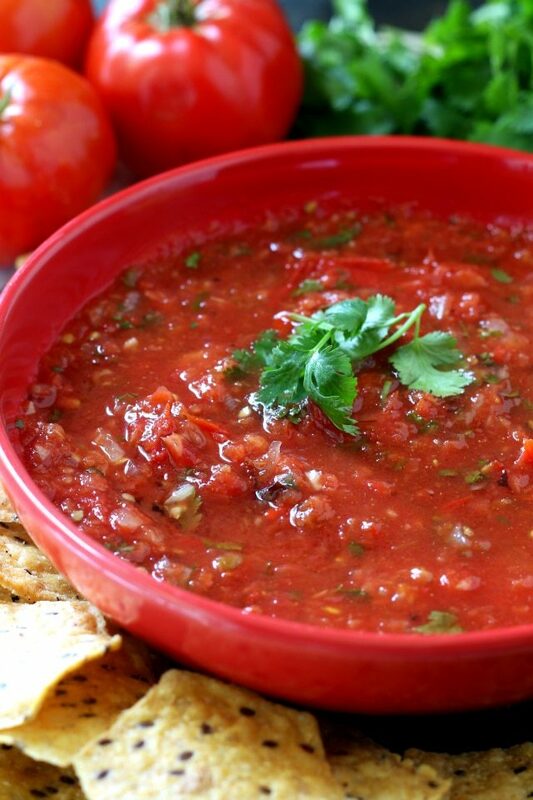 The Best Damn Roasted Salsa is SUPER easy, quick, fresh and delicious with a lovely complex smoky flavor that can’t be beat! 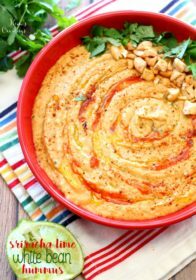 Traditional hummus gets a major kick of deliciousness with everyone’s favorite fall flavor in this healthy pumpkin hummus. 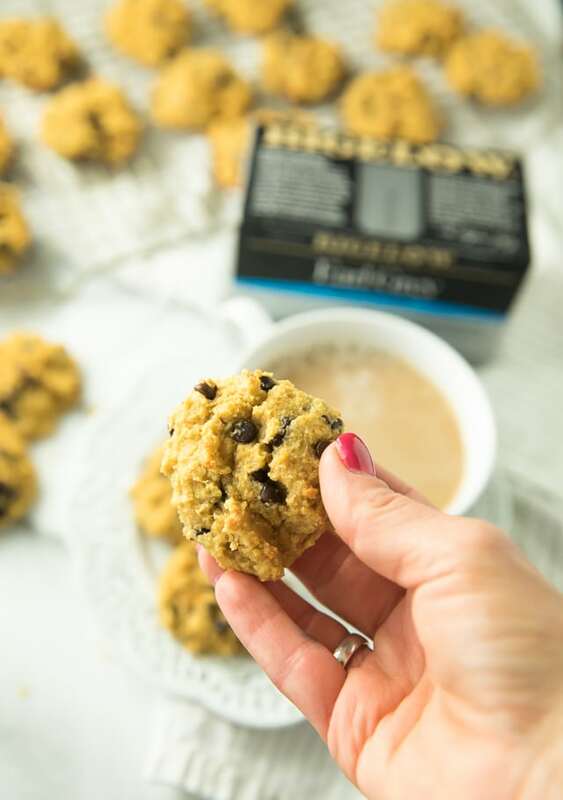 These Low Carb Gluten Free Chocolate Chip Cookies totally nail the taste and texture of your favorite classic treat – my family had no idea they were healthier! These gluten-free, dairy free, refined sugar-free chocolate chip cookies give you all the comfort without the guilt. 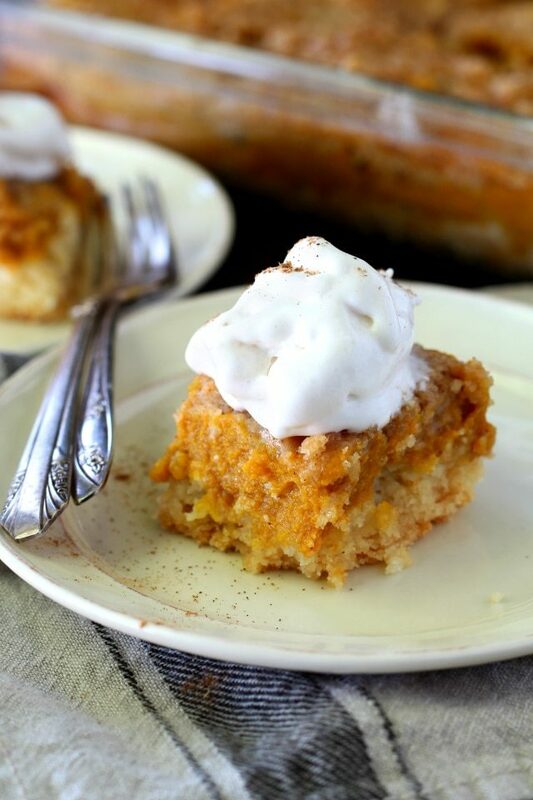 Nothing can satisfy my pumpkin cravings like my Grandma’s Pumpkin Pie Dessert Squares aka my family’s VERY favorite dessert. Seriously so yum! 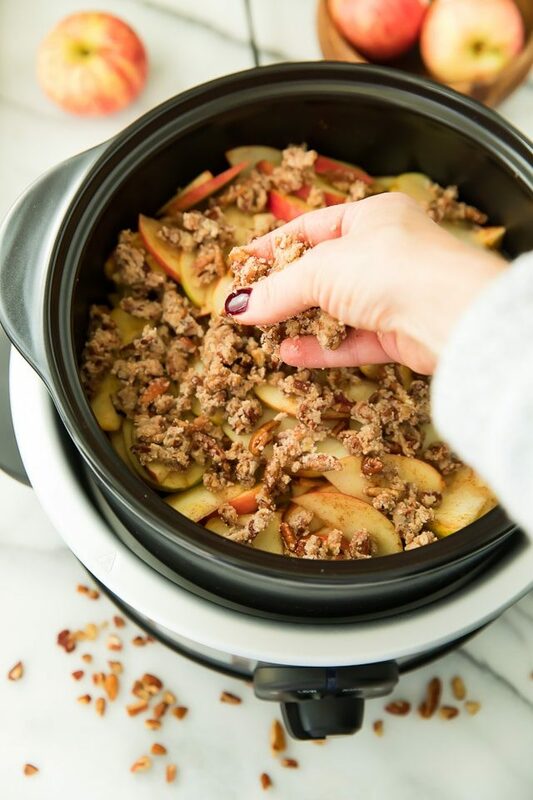 With a super crisp, nutty topping blanketing a warm and cozy, apple cinnamon-spiced filling, this Skinny Slow Cooker Apple Crisp is absolutely irresistible! Vegan, Paleo, Gluten-Free, Dairy-Free. These Skinny Pumpkin Protein Cookies are perfectly soft with just the right amount of pumpkin and spice! These cookies are incredibly simple to make and at just under 50 calories per cookie you can’t go wrong – even if you ate two or three in one sitting! 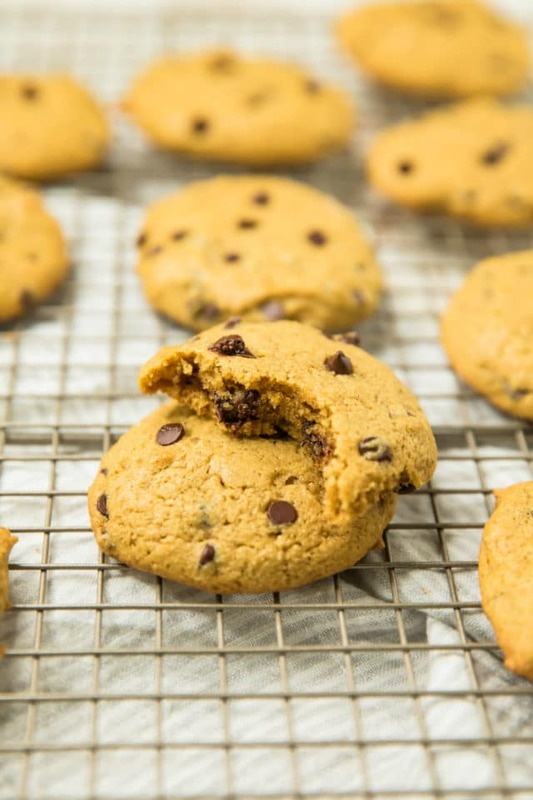 These Paleo Pumpkin Chocolate Chip Cookies are seriously so soft and fluffy. They’re not overly pumpkin-y, but have a perfect warm spice flavor and plenty of yummy chocolate chips to give them the perfect sweetness. 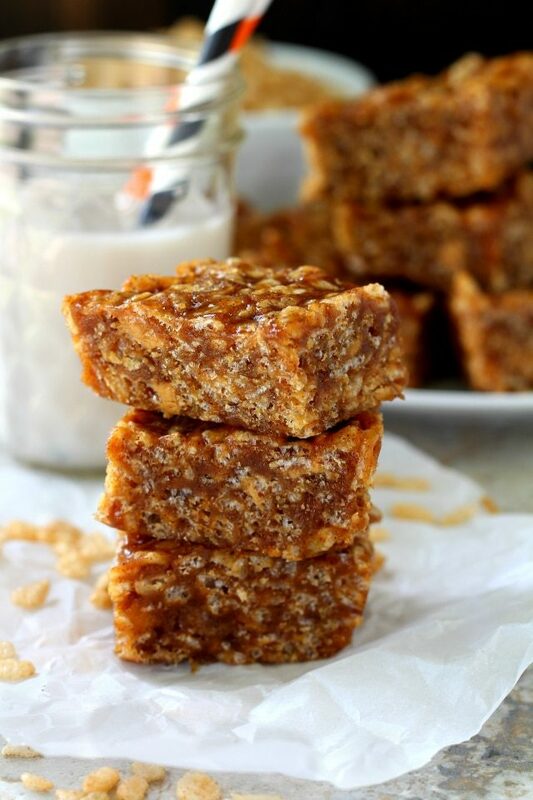 These Healthy Pumpkin Spiced Rice Crispy Treats are the ultimate when it comes to pumpkin snackin’. Pumpkin puree and spice add major fall flavor to these gluten-free, vegan, oh so yummy treats. Every recipe looks so good! We’re getting some chilly weather this week, so I’m looking for some fall-inspired dishes. Thanks for putting this together! What a huge help. What a fabulous line-up of recipes for autumn. The photos are beautiful and it will be fun to go through them all! 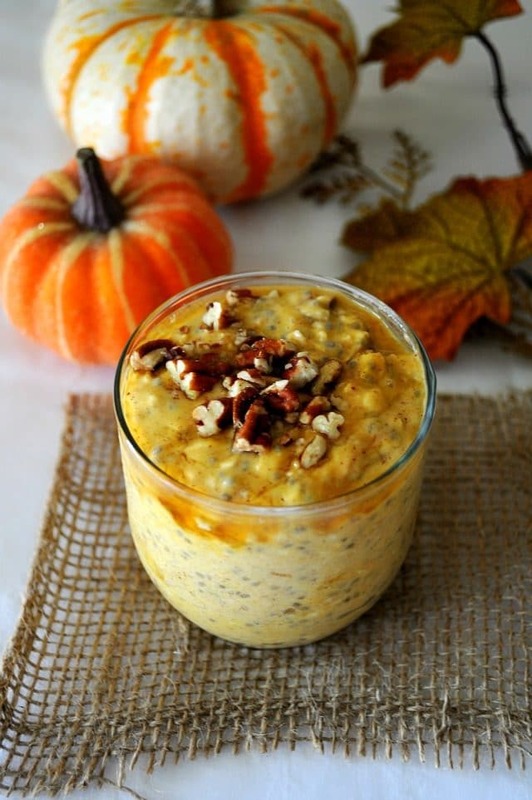 Wow – these are some really delicious looking recipes and all so perfect for Fall! Great round-up! 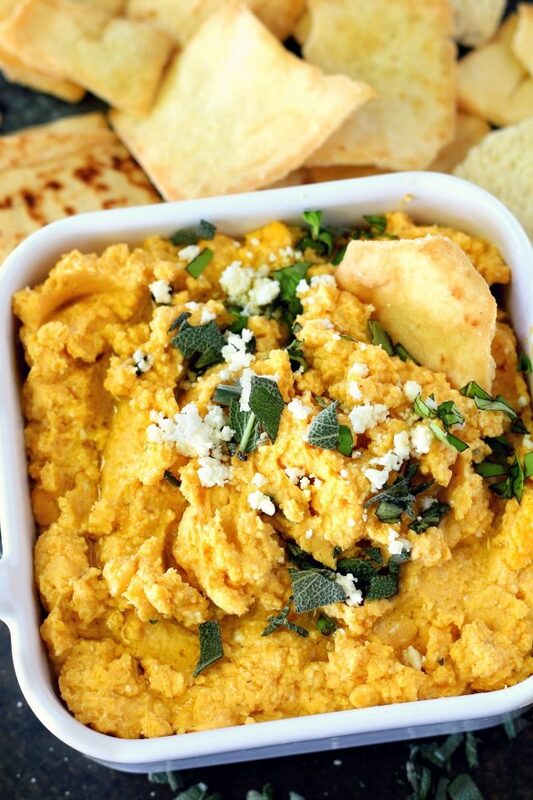 I really want to try that Butternut Squash Feta Dip! Yay! Hope you get a chance to make it!